The Booth No. is 01 E027, We look forward to meeting you there. 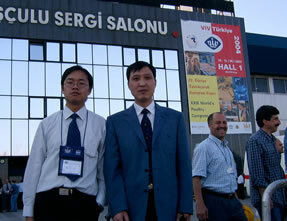 Asia-America Dept of NB Group, attended Worlk Pork Expo , Des Moines, USA , as an exhibitor, during June 5-7, 2008. The show is the world's largest pork-specific livestock show, with more than 500 exhibitors and 20,000 distributors and visitors there. Asia-America Dept. 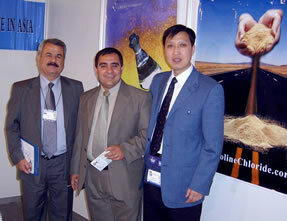 of NB Group, attended AgreMe 2008 , Dubai, UAE , as an exhibitor, during April 8-10, 2008. We, NB Group, will attend Agrena 2007 , Cairo, Egypt , during July 5-7, 2007. The booth No. is 7D+16D, Hall 4. We look forward to meeting you there. We, NB Group, will attend VIV Asia 2007 , Bangkok Thailand , during March 7-9, 2007. The booth No. is 01D048. We look forward to meeting you there. We, NB Group, will attend IPE 2007 , Atlanta USA, January 24-26, 2007. The booth No. is 3951. We look forward to meeting you there. NB Group will attend VIV China , in Sept. 27-29, 2006. Our booth No. is Hall 4 - A016. We look forward to meeting you there. 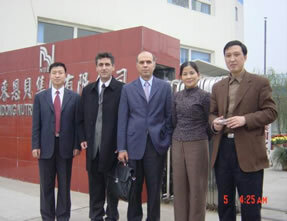 NB Group will attend Indo Livestock 2006, in July 11 -13, 2006. Our booth No. is AP35. We look forward to meeting you in Jakarta, Indonesia. NB Group will attend VIV Europe , in May 16-18, 2006. Our booth No. is D088. We look forward to meeting you there. 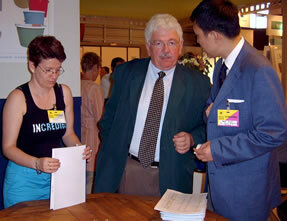 NB Group will attend IPE 2006 (THE INTERNATIONAL POULTRY EXPO ) in Atlanta, USA , January 25-27, 2006. Our booth No. is 5628. We look forward to meeting you there. The choline business of Cheman Company has been combined to NB Group's Business. All the products of choline chloride are exported in the name of Shandong NB Group Co., Ltd. The Cheman is re-organised and is constructed as a trading division, supplying various feed additives, pharmaceuticals and other products related to feed industry, not only choline chloride, for meeting the wide requirements of the customers.